A recent Letter to the Editor in the Green Bay Press Gazette basically had three points. For starters, it supported the closure of the Brokaw Paper Mill as good business. It also criticized Senator Tammy Baldwin for her concerns about the impacts of that decision on the Brokaw community and for her efforts to prevent such devastating corporate actions in the future. The writer defended Wall Street’s short-term vision of the role businesses play in communities and claimed “increased profitability benefits the employees … .” Well, many of the Brokaw Paper Mill employees are still now experiencing the unemployment line. The mill could have been saved. Investors could have divested from the mill without advocating for its closure. Throughout the country, there are alternative ownership models involving workers, the community, and investors looking for more than short-term returns on their money. These initiatives save jobs and preserve community dignity. That is what Senator Baldwin is about. The bipartisan bill she co-authored fights against the short-term decisions made by Wall Street. Such practices fail to invest in equipment, facilities, and workers, and only serve to benefit the cash-driven needs of impersonal investors. Having a Senator who stands up and works across the aisle for the interests of Wisconsin communities over those of Wall Street investors is the essence of democracy. We need a voice in the Senate concerned about Wisconsin localities and that puts WISCONSIN FIRST. 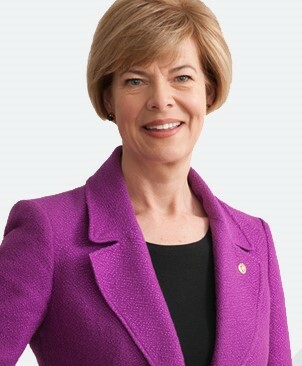 Senator Baldwin is such a voice. I strongly support her and am proud to have her represent me in Washington.